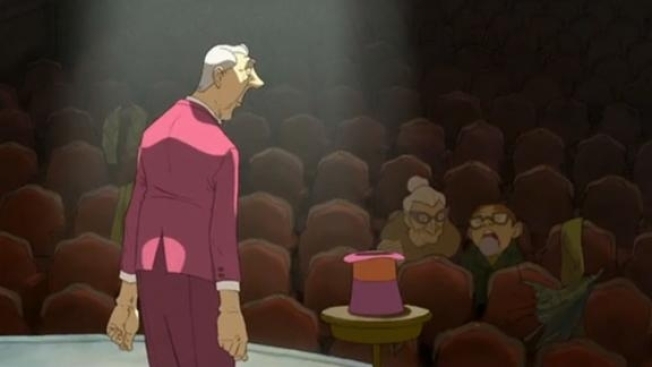 Back in March we were all atingle with excitement over the lo-fi Russian trailer for Sylvain Chomet's upcoming film, "The Illusionist." Today we got the real deal in glorious English and HD, to boot. The story centers around an aging magician who is beginning to feel his livelihood threatened by the advent of rock 'n' roll, only to meet a young girl who believes in his illusions. Chomet's first film, "The Triplets of Belleville," was a visually stunning debut featuring some fantastic music and beautiful storytelling. If you haven't seen it, do so. The first clips of the film were shown at Cannes in 2008, but the movie didn't make its world premiere until February at Berlin Film Festival. It opens Wednesday in France and the UK, and has been picked up by Sony Pictures Classic for release here in the States.